1. On your Forecast page, click the Expenses tab. 2. Click the Add Cost Centre button. 3. Choose from the dropdown options which one would you like to add. 4. After selecting an item, click Save. 5. 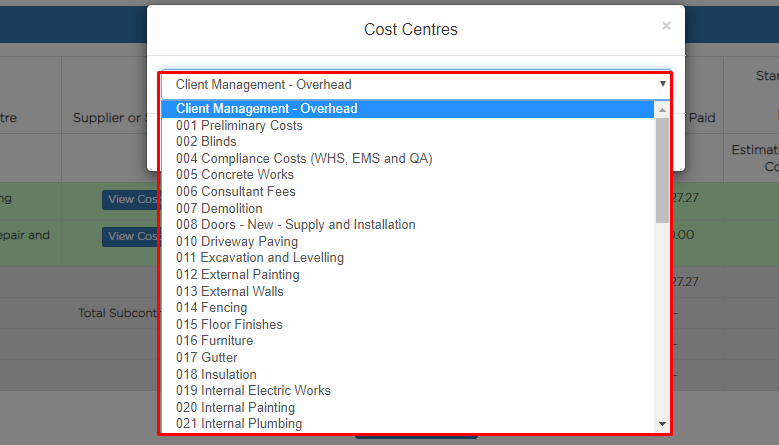 Your added cost centre will now be displayed under your Expenses tab.